BISS Ch. Wazin Red Empress, BBHR "Garbo"
We are so happy to have Garbo living with us at Meisterhaus. 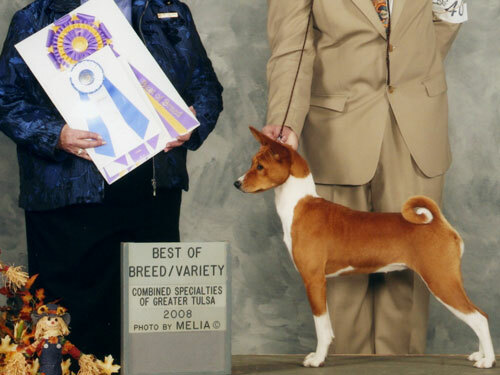 She has quite an amazing show career of which includes a Best in Specialty win. Her pedigree combines the best of our foundation and some of the best Aussie bloodlines, as well. 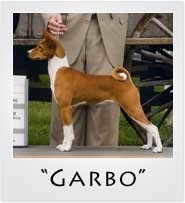 Garbo’s first litter has already proven that she is going to continue the top producing ways of her sire, Tre, her grand dam, Caitlan and many others of the breed’s top producing dogs. 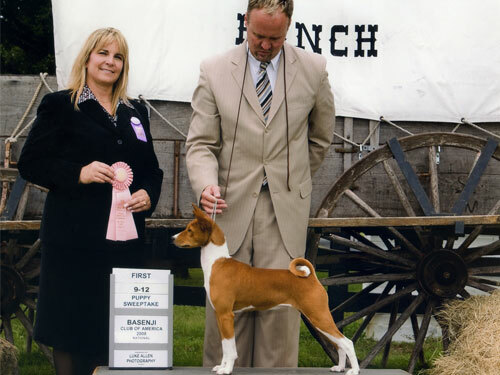 2008 Indian Nations Basenji Club Specialty, Best in Specialty Show from the 9-12 Puppy Class, under Breeder Judge: Mrs. Judy Webb.